East Side Hotel welcomes its guest with trendy, modern and spacious rooms. Your stay is made more enjoyable by flat TVs, free cable as well as WiFi internet connection. Our guest have free access to our well-equipped shared kitchen, where our abundant buffet breakfast is served in the mornings. Reception staff is available 24 hours, and can offer excellent tourist visits and outings too. 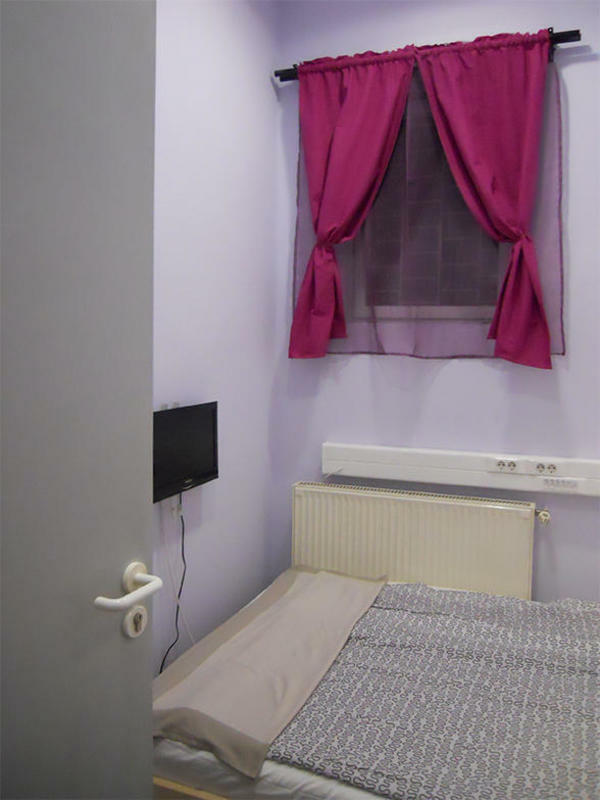 There is are lockable cabinets is each room, and free bedsheets are provided. Parking space is available on our premises. Bath towels can be requested but are separately charged for. Our free-of-charge services include a 24/7 reception and a luggage room. Airport transfer, washing and/or ironing can be arranged for a charge. We also offer excellent outings or visits with tickets on hand. Parking is free at weekends and on public holidays in our courtyard. Our room rate includes the plentiful buffet breakfast. For guest staying 7 or more nights free airport transfer can be provided. Children under the age of 5 arriving with adults can stay free of charge in the hostel! No curfew. Child friendly. Non smoking. This is a stop on the Metro 3 (also called Blue line or just M3) line. Go to the Deák Ferenc Tér metro station (this is the meeting point of the three Metro lines we have in Budapest), switch to the Metro 2 line (M2 or Red metro) andtravel three stops to Keleti railway station. * From the AIRPORT travel by PUBLIC TRANSPORT BUS number 200E toKobanya Kispest - the terminal of METRO 3 (BLUE metro line, also marked M3).Take this METRO line to DEAK FERENC TER, (this is the meeting point of the threeMETRO lines we have in Budapest), switch to the METRO 2 line (M2 or RED METRO line) and travel three stops to KELETI PU station.